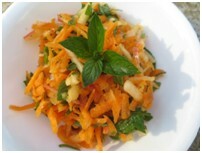 This salad is loaded with nutrients including polyphenols and antioxidants. 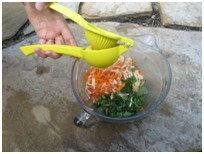 The recipe is quick, uses fresh ingredients and your kids can help you make it. 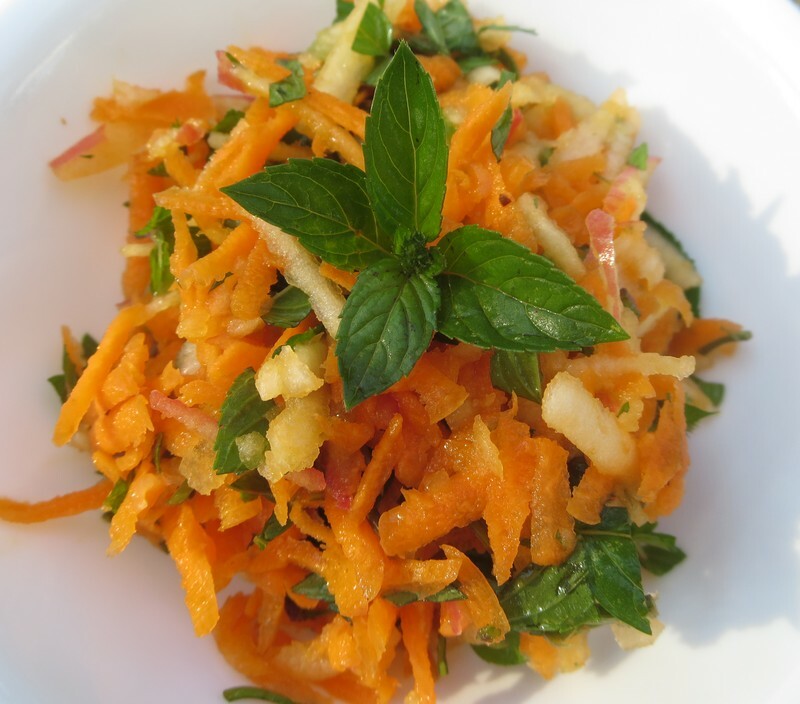 Combine the grated carrots and apples and mint leaves in a medium size bowl. Add lemon juice, olive oil, sea salt and optional raisins. Stir to combine. Chill while you finish making your meal for about 10 minutes. Serve as a side dish topped with optional chopped pecans. Make 4 ~1/2 cup servings. Tip 1: Getting kids involved in meal preparation results in higher likelihood of then trying new vegetables and eating more vegetables. 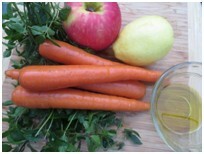 Kids can easily wash and grate the carrots and apples and stir all the ingredients together. Tip 2: If you want to make this in the winter and have a hard time finding fresh mint you can split open 1 organic mint tea bag and stir in the tea leaves instead of using the fresh version.